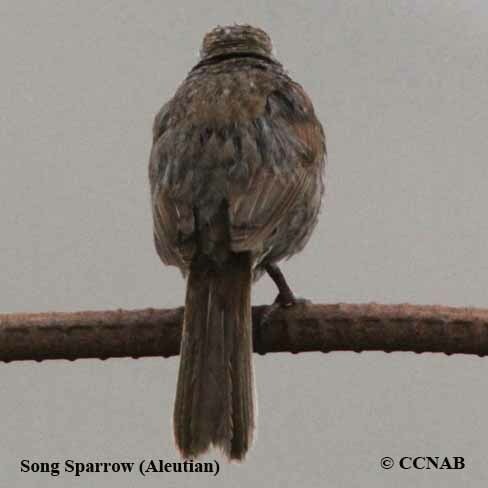 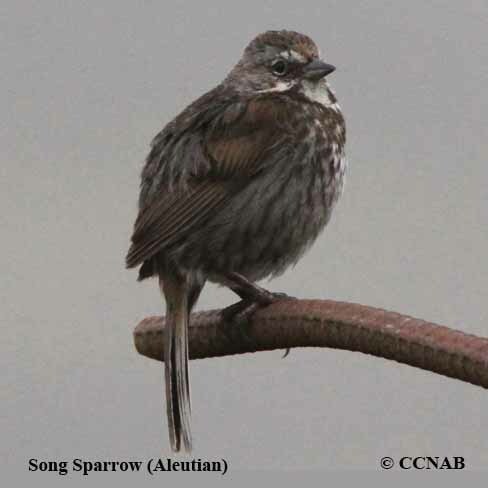 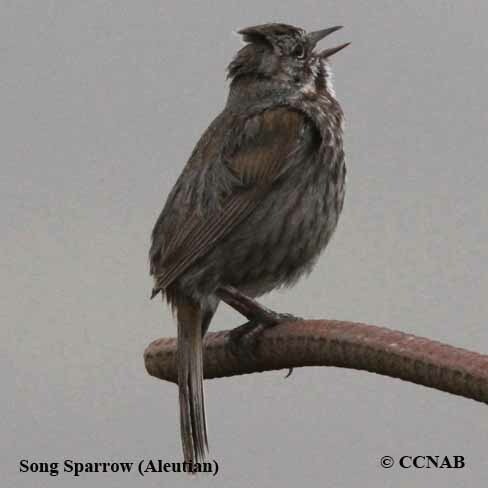 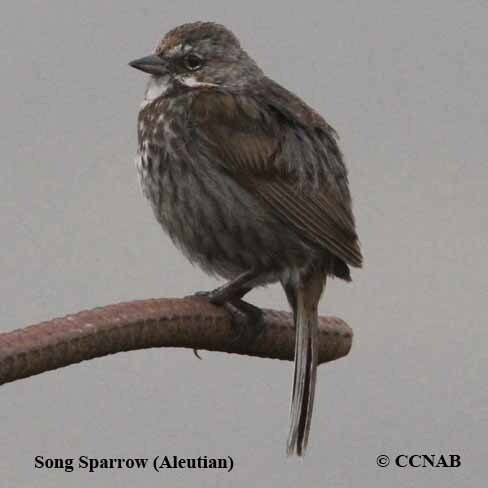 The Song Sparrow (Aleutian) is the largest sub-species or race of the Song Sparrow. 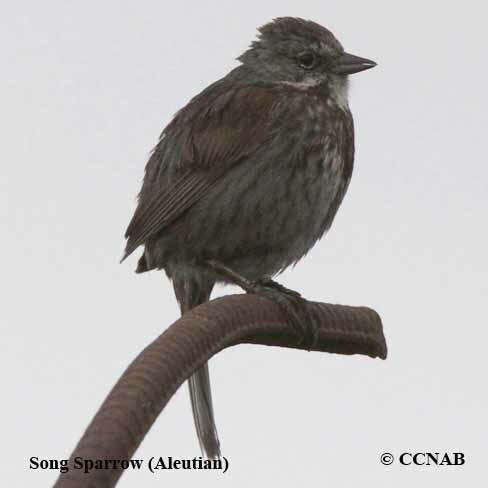 This large hardy dark-plumaged sparrow is an unique sub-species to the Song Sparrow, being able to survive where few passerines live. 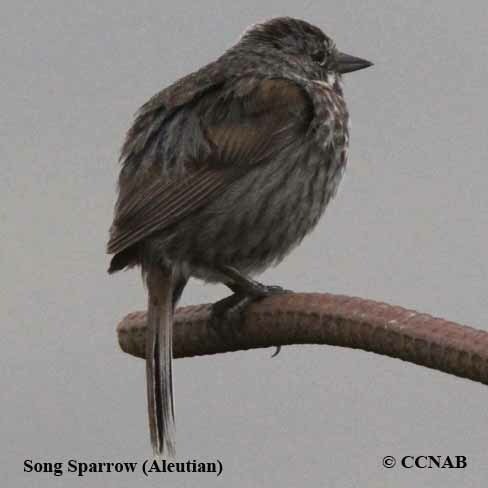 It has made its habitat in the harsh cold and wet environment on the Aleutian islands surrounded by the North and South Bering Sea.